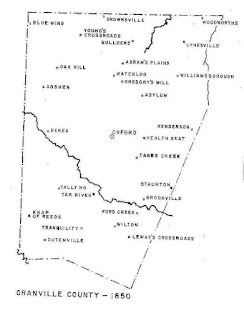 I've been spending quite a bit of time with my Bains/Baines/Baynes/Bain ancestors; particularly the wealth of information in the FamilySearch Virginia Freedmen's Bureau Letters or Correspondence (1865-1872) database involving them. Ellen and her husband Isaac were former slaves who escaped/ran away/were freed during the Civil War. Isaac became a Union soldier and joined the U.S. Colored Troops (USCT). But what happened to his wife and family? In my latest research I have come across information I had not known previously about the Norfolk/Hampton area; it was the home to the Grand Contraband Camp. But stepping back for a second, the term "contraband" is an interesting study of its own. [adapted from the Wikipedia entry] "Contraband" was a term commonly used by the US military during the Civil War to describe escaped slaves, particularly those who joined with Union forces. The Army, and later Congress, determined that it would not return escaped slaves (as required under the then existing Fugitive Slave Act) and classified them as contraband. When Virginia seceded in 1861, the US Army retained control of Fort Monroe (near Hampton, VA). At the time, the commander at Fort Monroe was Brigadier General Benjamin Butler, a lawyer by profession and an opponent of slavery. At some point, after secession, three slaves (Frank Baker, James Townsend and Sheppard Mallory) were "leased" by their masters to the Confederate Army to help construct defense batteries at Sewell's Point, which was across the water from the Union-held Fort Monroe. One night, they escaped and sought asylum at Fort Monroe. Prior to the war, slave holders would have been legally entitled to request the return of their "property" under the 1850 Fugitive Slave Act. However, [as a lawyer, this is the part I love!] General Butler, an attorney, took the position that, if Virginia considered itself a foreign power (and it did, by seceding), then he was under no obligation to return the three men; and that he was entitled to retain them as "contraband of war." Which is exactly what he did. 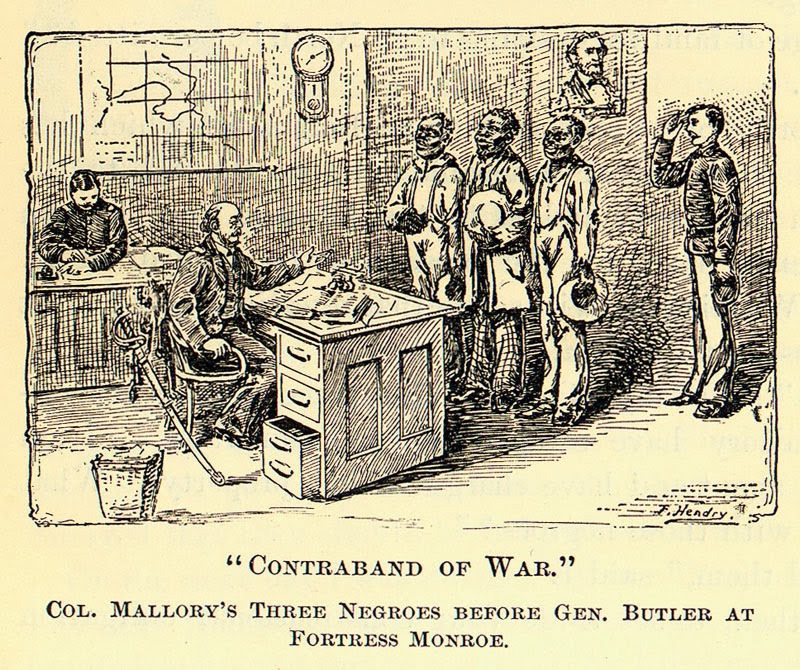 On September 25, 1861, the Secretary of the Navy, Gideon Welles, issued a directive to give "persons of color, commonly known as contrabands", in the Union Navy $10 per month and a full day's ration. The Union Army quickly followed suit, paying male "contrabands" [including my g-g-g grandparents!] at Fort Monroe $8 a month and females $4. In August of 1861, the Congress passed the Confiscation Act of 1861, which officially declared that slaves held by the Confederate military could be confiscated by Union forces. In March of 1861, the Congress passed an Act Prohibiting the Return of Slaves, which forbade returning slaves to Confederate masters or the military. Not surprisingly, word of this new "policy" spread quickly among the slave communities. While becoming a "contraband" didn't mean freedom, it often was better than remaining a slave. 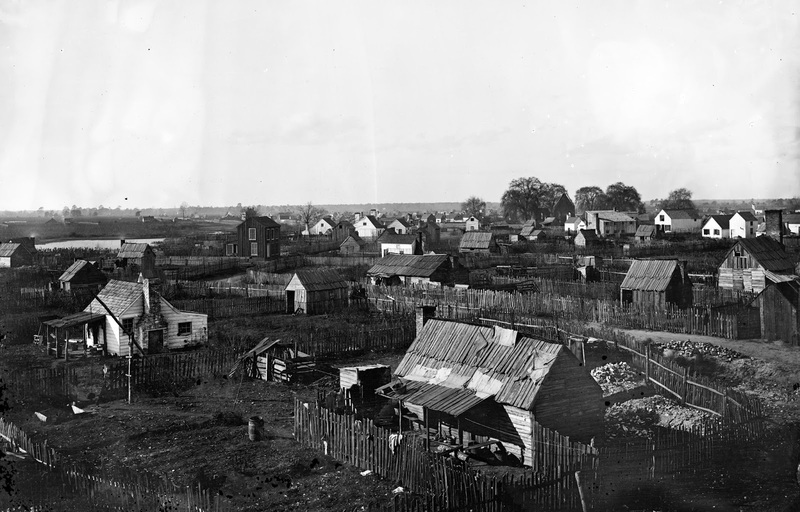 Many escaped slaves found their way to Fort Monroe and appealed to become contraband, and as their numbers swelled, the "contrabands" erected shelters outside the crowded base amongst the ruins of the City of Hampton (the Confederate Army had burned the city as it was pushed out by the Union forces). They called this new settlement the Grand Contraband Camp (nicknamed "Slabtown"). I believe my g-g-g-grandmother Ellen and, her son, my g-g-grandfather Zachariah were in that extended camp! There are still many questions lingering (some of which I've found clues to...more on that later): did Isaac and Ellen runaway together to the camps? did they walk off the plantation when their "masters" went off to fight in the war? did Isaac live at the camp first then join the USCT? did Ellen escape to the camp after Isaac enlisted? What I do know is that Isaac enlisted in Company E of the 10th Regiment of the United States Colored Troops (USCT) Infantry (more on that later) and his wife and 3 children -- Zachariah, Adoniram and Levi -- lived in a contraband camp. But before I get ahead of myself (again) I should share that I solved the mystery of the slave holder names from my last post!! The "owner" of Ellen and her children was John T. Bidgood of the Western Branch, Norfolk County, Virginia. Note the title of the page: "Bidgood Contrabands Record". As I now know that contrband refers to former slaves, it makes sense that Bidgood would be the name of the former owner. I subsequently found additional (and concrete!) confirmation later, but at the time I thought it was a solid assumption to make. It also made sense considering the the former slaveholder name listed on the undated census discussed in my prior post, and based on the list of slave holders in Norfolk County during that time period. 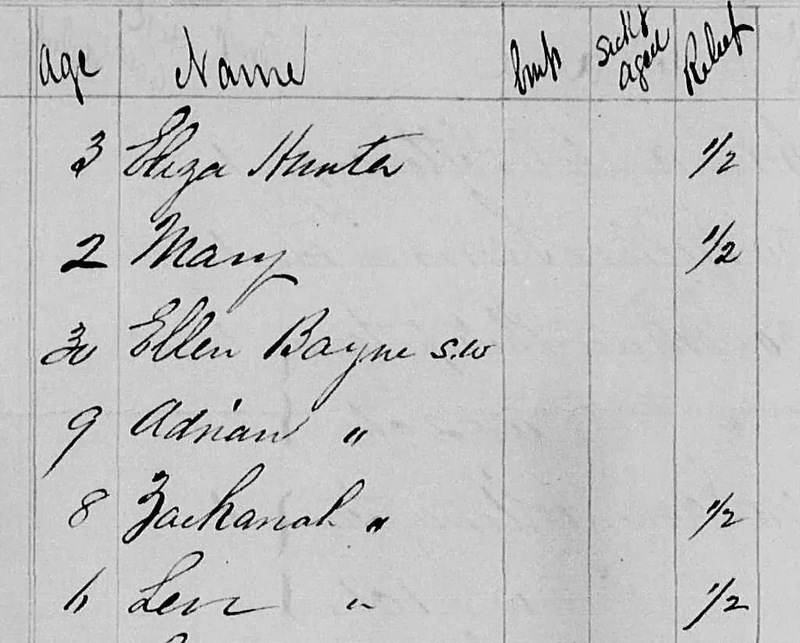 Only one name on the list had the word "-good" in it (which was the only part of the slave holder name listed, in the undated census in which my ancestors appear, that I could clearly make out). 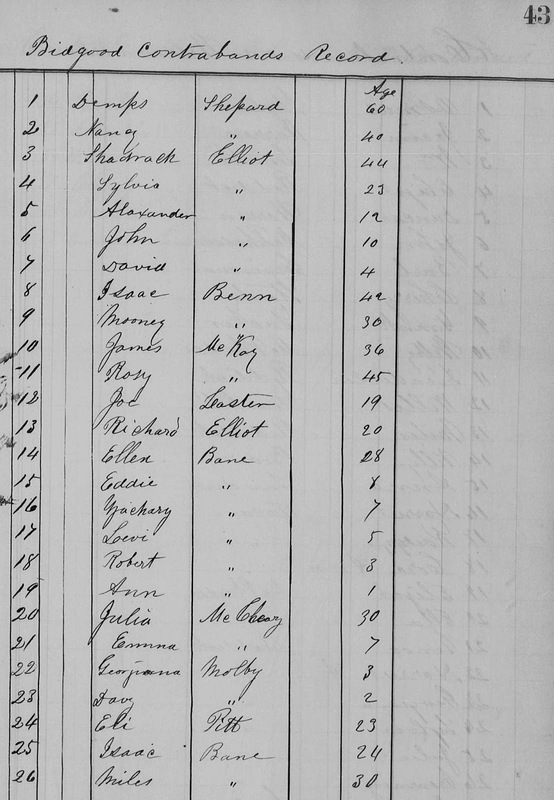 Eddie Bane (8) -- I now know that he is my ancestor too! Robert Bane (3) -- another ancestor? Ann Bane (1) -- another ancestor? Miles Bane (30) -- another ancestor I think! So, Ellen, Zach, Adoniram and Levi, all lived in this contraband camp on the former farm of Henry A. Wise and/or on another farm referred to as "Baxter2". [I wonder if they were required to move from place to place??] From what I've learned, Henry A. Wise rebelled against the Union and joined the Confederate Army. Because of that, his land was confiscated. There's a great book about this interesting character that is worth a read. Simpson, Craig M. A Good Southerner: The Life of Henry A. Wise of Virginia. Chapel Hill: University of North Carolina Press, 1985. I just have to wonder how Ellen felt, newly freed, living alone with no obvious means of income. Her husband off God knows where fighting a war she probably knew little about. Single handedly caring for three young boys (or more!). And relying on the kindness of others. I'm sure, or at least I hope, there is more to find in the Freedmen's database or in other literature, on what life was like in these camps. But at least I know that the story did not end there! 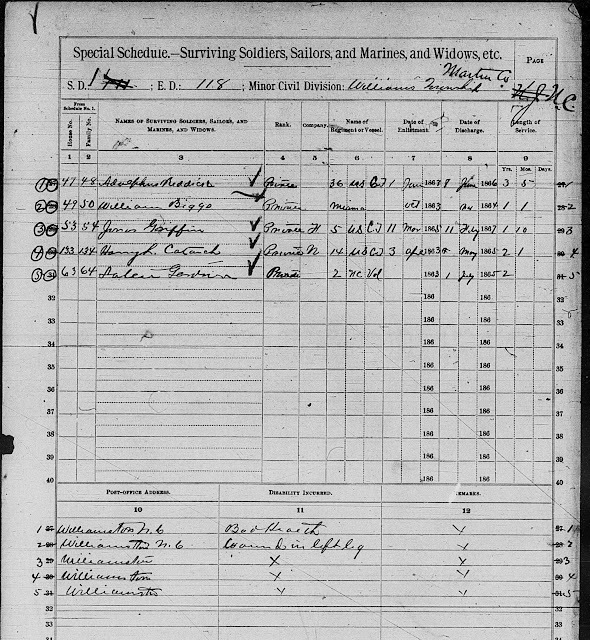 Isaac returned home safely from the war, and Isaac and Ellen had a total of 15 children, although only a handful survived to adulthood -- my g-g-grandfather Zachariah Bains being one of them. In my search for more information I found the Contraband Historical Society of Hampton Roads, VA. I look forward to learning more about this unique time in history, and hopefully more about my ancestors' lives! Please send me a message so that we can connect.